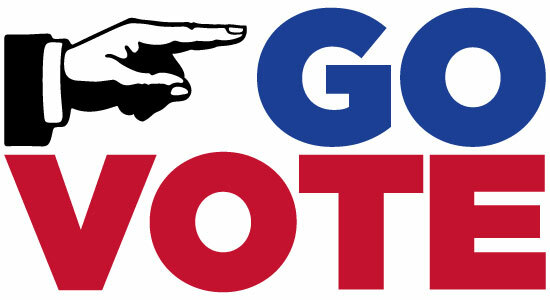 You are here: Home › Edublogger › Go VOTE!! ← Doctor Who and the First Nine Weeks of School! Coming up very soon is the next general election in the state of Oklahoma so lets take a few minutes and talk about how important it is to have the right to vote. In several countries around the world, people get to “choose” who their leaders will be. Some of these elections are shams or so corrupted that no actual “election” occurs – the powers that exist maintain those powers. These countries, for the most part, are countries that I have no desire to live in. They have poor infrastructure. There is generally a lot of government waste or corruption. Free public education is not easy and in some cases not accessible. Admittedly, we have many of these same issues in the United States – but with a very big difference. Every two years, without violence, without civil war breaking out (except for once), without people having to barricade themselves in their homes and pray for deliverance, we have free elections. Now, as amazing as this is (the right to vote for free), 57.5% of eligible voters voted in the last presidential election. Think about this for a second – greatest democracy since the Roman Empire, and we do not even have a super-majority of people who voted. If all of those non-voters had voted for me it would be so long President Obama and I would be in the middle of my 1st term dealing with a congress that cannot figure out how to make 1+1=2 without the most intense and un-useful bickering. I know Oklahoma, bastion of conservatism, redder than red (except when wearing America’s Brightest Orange), population of 3.851 million folks, does not seem like a political hotbed. But just go ahead and turn on the television for a few minutes and see what you think. Hey guess what? That is where you come in as a registered voter. You don’t like how the person representing you votes for certain items? Vote for their opponent. They get two years, then the election cycle repeats itself. If you feel like the current governor does not represent your views, vote for the challenger. Love what the current governor is doing, give them your vote. Its just that simple. Its just that important. Its YOUR right as a UNITED STATES CITIZEN to vote! I would love to see what would happen if the people who didn’t vote, just wrote my name down: Scott Haselwood (notice there is no Z in my last name, we are not related to this guy). Maybe I can be the next guv’nr!